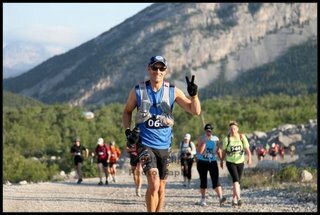 The photo above is from July 4 (almost 4 weeks ago) near Frank slide shortly after the start of a VERY long trail race – the 147 km Sinister 7 ultramarathon. My first attempt at running this distance resulted in having to drop out after about 19 hours and 120 km with severe blisters. It has been a long time goal of mine to someday run 100 miles and I decided that I was going to go for it this summer. I started with a 50 mile race in Bellingham Washington and had an amazing race despite running off course and extending my run by about 90 minutes. 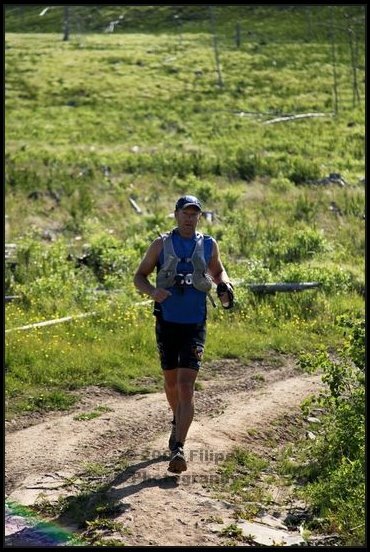 After that race, I felt I was ready to continue on, and registered for the almost-100 miler Sinister 7. Since that ended prematurely, I was possibly looking at a 100mileless summer. Once you start these races, you might as well keep going because you can use each ultra as a training stage for the next one. 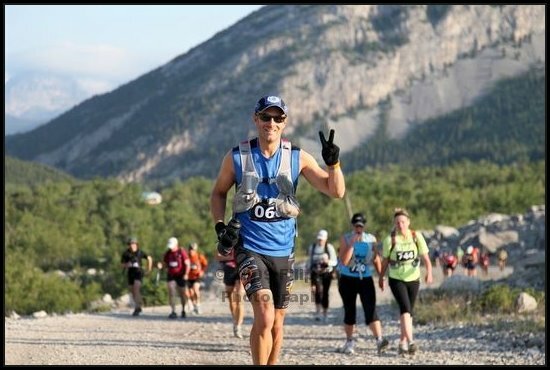 I immediately started looking for another ultramarathon and found the only one that fit our summer travel schedule – the Lost Soul Ultramarathon which is on September 11th and is a full 100 mile race. Of course, the race was full, so closed to new entries. So, I made the decision to give up the quest for this year and possibly go after it again after my Pacific ocean crossing next summer and started focusing on cycling training to get ready for the 2-man test-expedition in October. (South down the Pacific ocean from Vancouver Island to California). Of course, I got the phone call this morning that my name which was on the Lost Soul ultra waiting list was accepted, so it looks like I’m running the Lost Soul! I’d better start running again!!! 100 miles is a freaking LONG way to run. I’ll hit it hard again this weekend in Whitefish on Big Mountain. In other news, I wanted to show you some photos of the Kens awesome work on the crush zones for WiTHiN. The crush zones are the tips of the bow and stern that are solid foam and covered with carbon. The purpose is if I run into a log, dock or whatever, I will damage this section and not risk de-laminating the carbon from the sides of the hull or risk breaching the far bow and stern compartments. The bow is completely wrapped in carbon BEFORE this additional foam tip is bonded on. The foam tip will also be covered in carbon. If the tip were to smash into something, then it would be crushed and cracked and (hopefully) leave the main hull intact. ie: any delaminating of the composite layer would be limited to the crush zone. 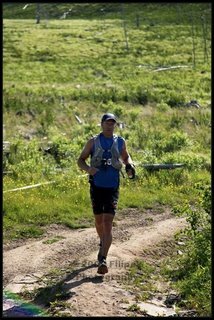 100 mile race, may be if I was in my early 20's you are one gifted runner. Carbon of course does not crush, it shatters, and the knifelike splinters could damage the non-crushable parts of the hull in a crash. Why not just glass in the crush zones with normal glass cloth and epoxy? More resilient, and easier to fix! Or Dynel, this is more resilient and could leave a dent rather than cracked fiberglass or shattered carbon fiber?